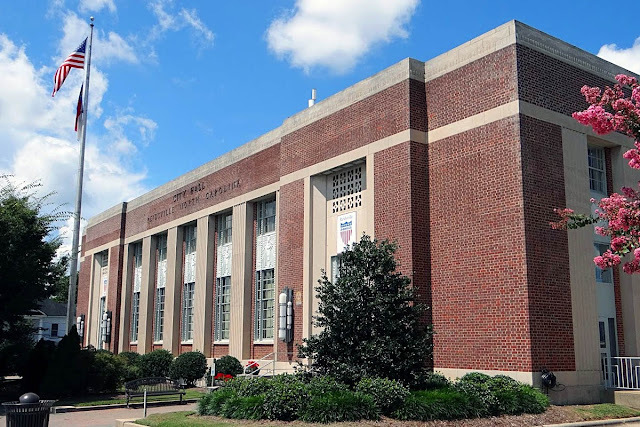 USPS has been on a tear in its recent effort to dispose of historic properties by selling off -- "right-sizing" -- its operations, largely by moving its carriers to facilities built on cheaper land and calling the historic structures too large for its needs. However, the trend of moving from historic buildings to new (and architecturally dull-as-dishwater) structures is not new: previously this was an organic process that resulted when the increasing population of the community caused the Postal Service to outgrow the building, resulting in a larger one somewhere else in town. This is what presumably occurred during the late '70s in Reidsville, NC, a community of 14,000 north of Greensboro and a few miles south of the Virginia border. 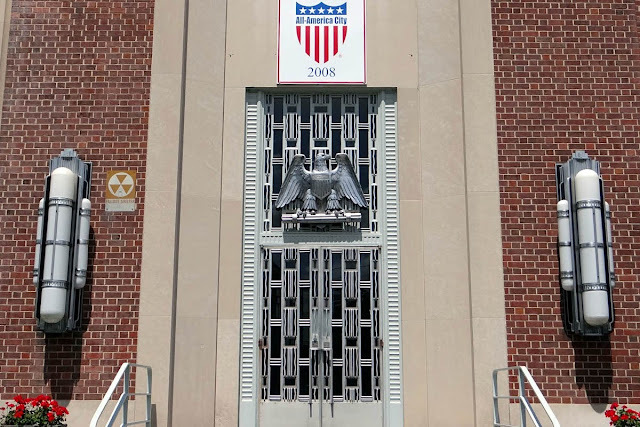 While today most of the historic post office buildings being sold nowadays are given to the highest bidder through real estate corporation CBRE, in the past the buildings were offered to other federal agencies (which had the right of first refusal), then to state agencies, then county officials and the cities themselves before being sold. 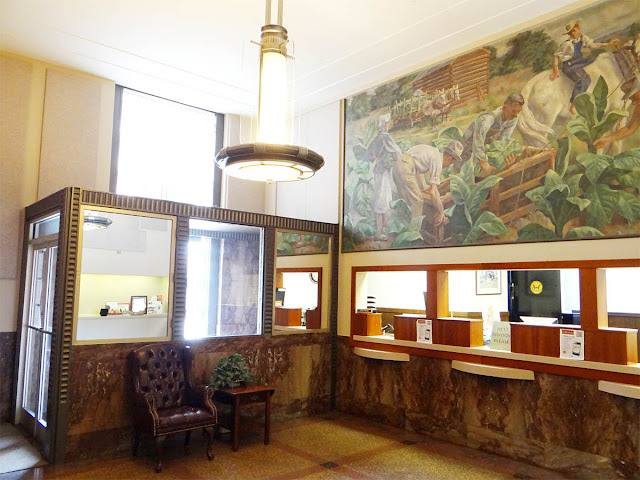 Through this process the old Reidsville post office became the modern Reidsville City Hall, and the city has retained and maintained the building itself, its fantastic Art Deco architectural details, and the New Deal mural still hanging inside beautifully. 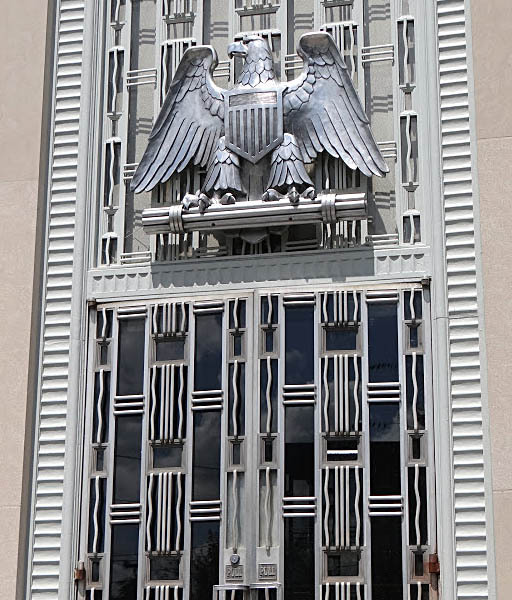 This is one of the most effective reuses of an old post office building that I have ever seen. As always, let's give you a geographic fix. 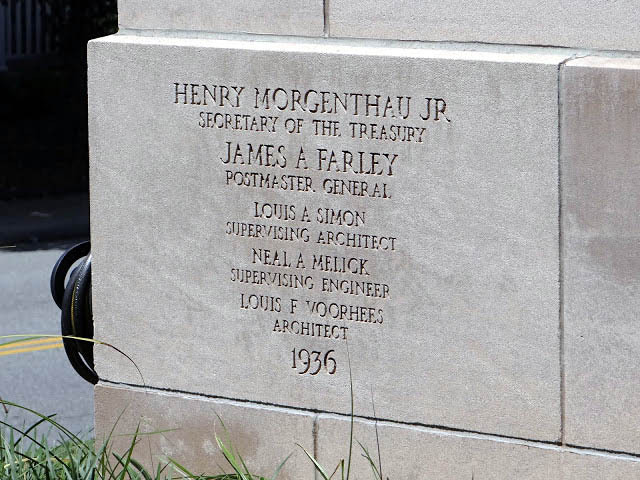 Here is the grand building along with a photo of its cornerstone. 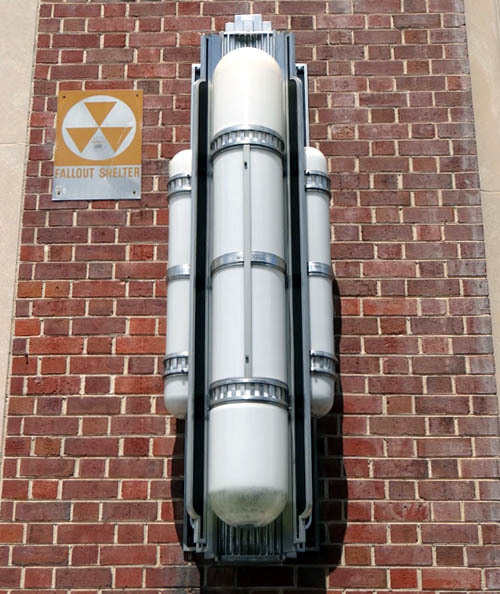 This is a 1936 structure. 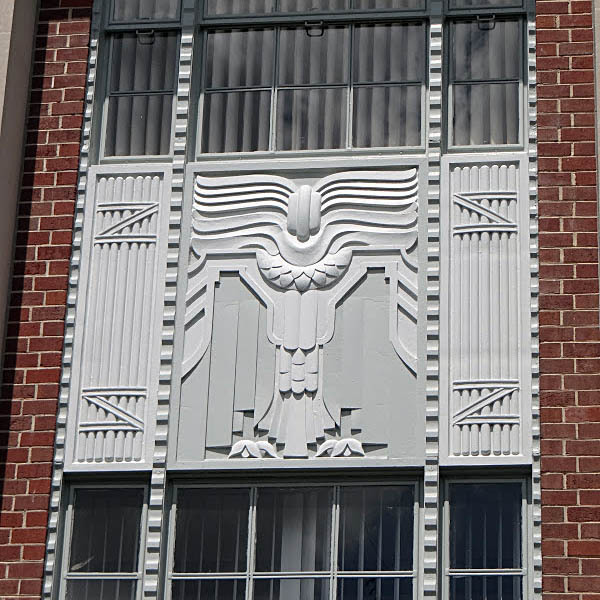 Here is one of the two main entrances, and insets of a lighting fixture, and Art Deco metal detail, and the eagle, all of which are (I believe) original and in impeccable shape. 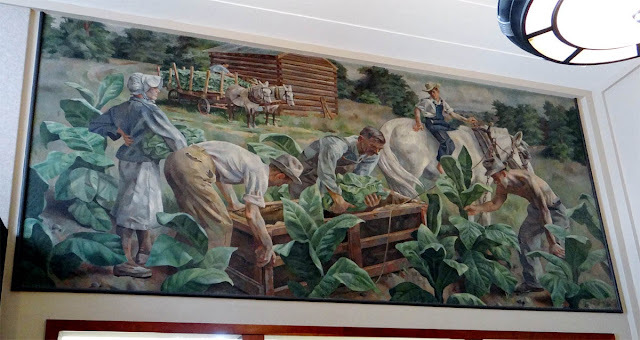 Inside the New Deal mural titled "Tobacco", painted 1938 by Gordon Samstag, resides at its original spot in what is now the Reidsville Finance Office. Here is a photo of the mural and its setting. Note the marble counters, foyer details, and original light fixture. Let's not show you what the new post office looks like. I'll leave you on a high note. Hope you enjoyed!